We are now getting updates about the scary incident involving Harrison Ford on Thursday afternoon. According to reports, Harrison Ford was left injured after a plane crash on the Penmar golf course in Venice, CA, after something allegedly went wrong with the aircraft. The crash reportedly occurred around 2:36 PM on Thursday. 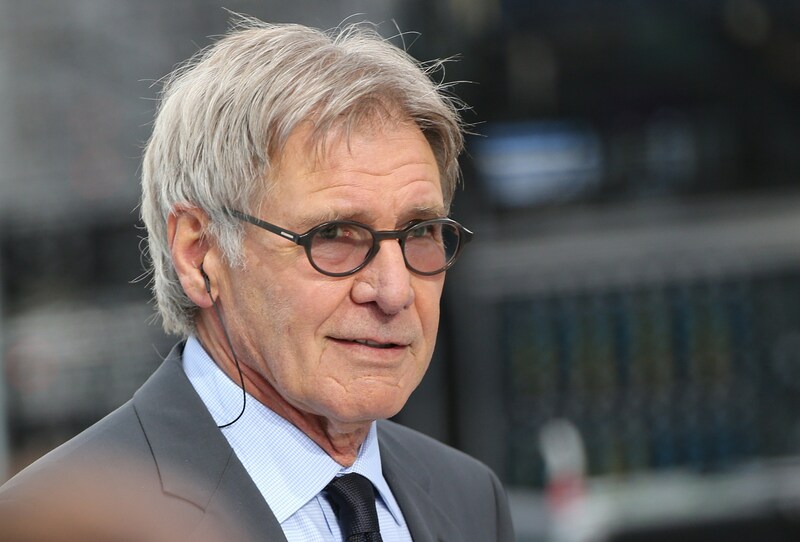 The story continues to evolve, according to a press conference reporting updates about Harrison Ford's condition. Ford, who CNN reports was flying his two-seat 1940s-era military trainer, reportedly walked away from the crash, and after some on-site care, was then transferred to the hospital due to head injuries sustained from the incident. During a press conference about the incident, a spokesperson for the Los Angeles Fire Department reported that Ford "suffered basically some moderate trauma." The spokesperson added that the LAFD is "very thankful that the passenger, from what it appears right now, had moderate injuries," and that "the patient left the scene conscious and breathing." Ford is licensed to fly his private plane and has been for nearly 20 years. The actor has been involved in two previous crashes — one in a helicopter in 1999 and one in a small plane in 2000. Bustle reached out for comment and did not immediately hear back.